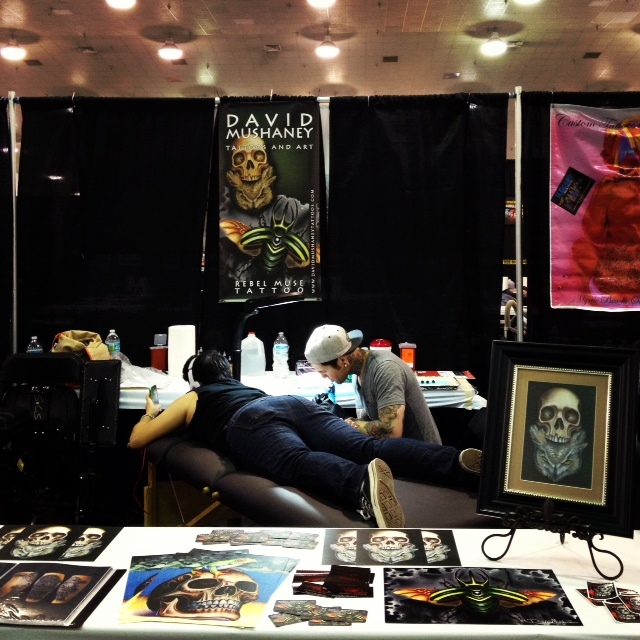 I recently attended my first Ink Life Tour event in Tampa, Florida with the Rebel Muse Crew. I had a great time in Florida at this tattoo convention and had the opportunity to meet a lot of great tattooers on this trip. I am stoked to attend more of the Ink Life Tour events in 2014! 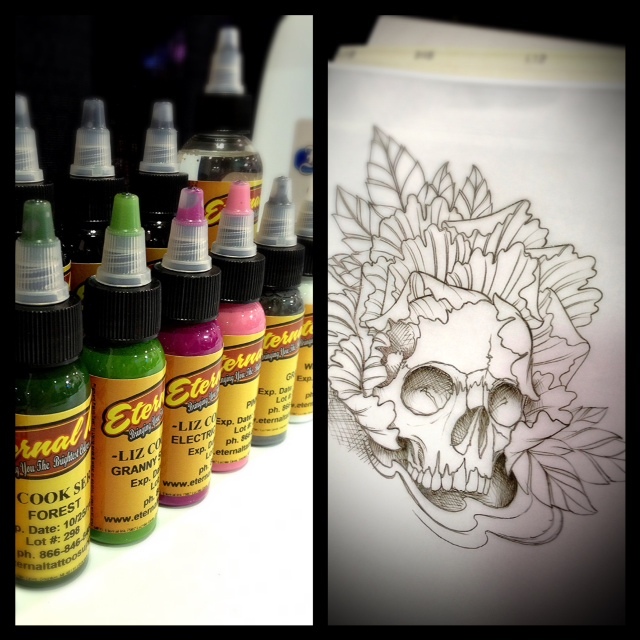 Using a few of Liz Cook's Eternal Ink colors for this little skull tattoo. 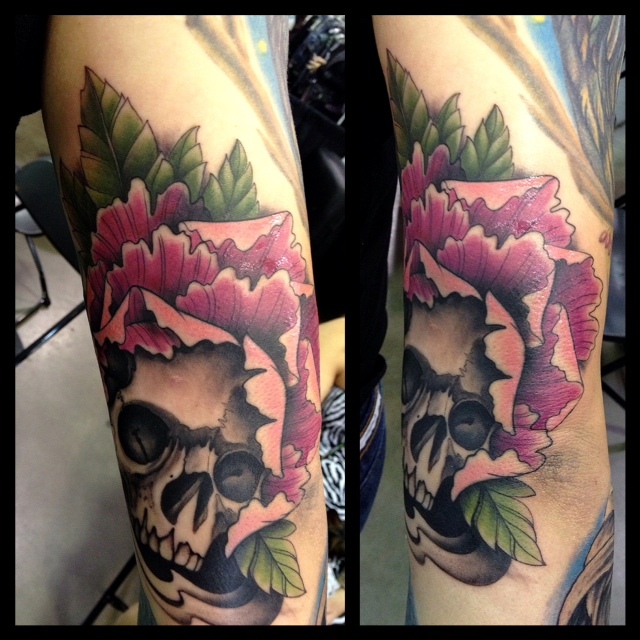 Skull and Peony Flower done on Saturday at the Ink Life Tour in Tampa. My booth at the convention. Tattooing a line of music as a garter belt tattoo. 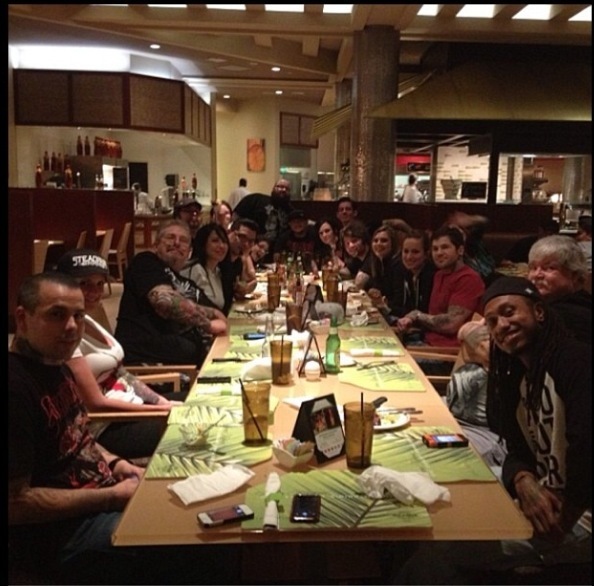 Out to dinner after the convention with the Rebel Muse crew and several other great tattooers. 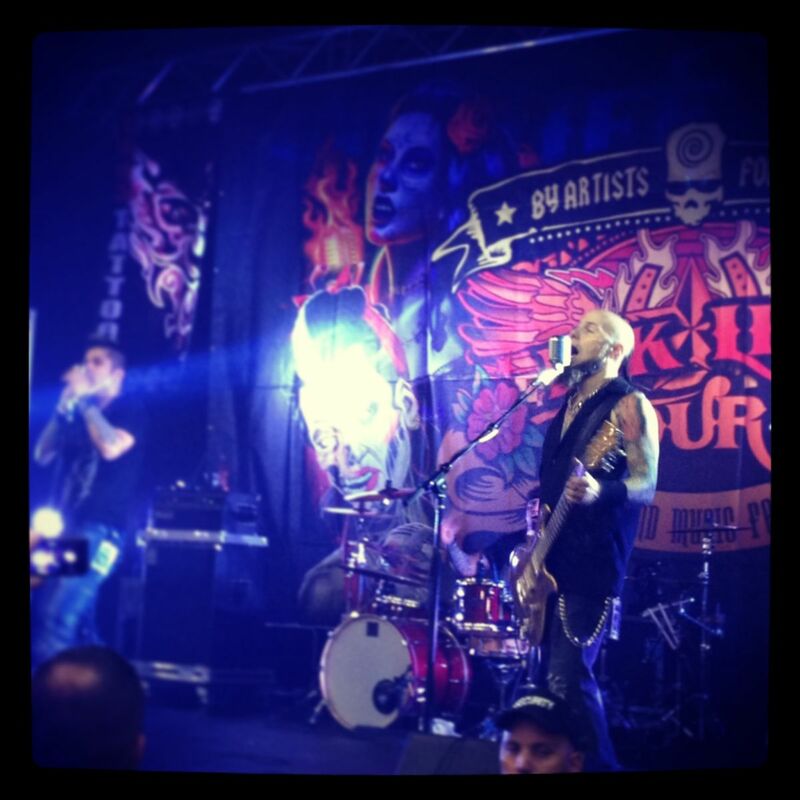 Drowning Pool performing at the convention over the weekend. I will be doing a lot more traveling in 2014, so even if you don't live in the Dallas, TX area, I may be traveling close to you at some point. Message me through the contact section of this website for appoinment info!